Motortourer video asks: What kind of Biker are you? Are you a casual weekend biker? An around-the-world adventurer? Perhaps you are meticulous in your riding plans, keen to meet other like-minded bikers on a ride, sharing the road with friends or club members? Whatever your biking personality is – and for that matter the personality of your motorcycle as well – Motortourer.com wants you to become a part of a growing biker only community. The Motortourer “are you a biker” video gives you a taste of the site and all it’s possibilities. It’s passionate motorcyclists from all over the world who make the Motortourer community what it is, connecting with fellow bikers, sharing the best places to ride and motorcycle-related advice. So (as the slogan goes) it’s all about – riding – sharing – and connecting! A worldwide community of bikers who are as passionate as you are about the freedom of the open road. In the video we highlight some of the great features of the site; seeking out, sharing and creating your favorite routes, finding biker-friendly accommodation – even where to find a recommended bike mechanic while on the road. This is what Motortourer founder Ben de Boer is so excited about! It’s why we want you to take part in Motortourer’s #ShareYourRoute Summer Challenge (and perhaps win some great prizes)! And it’s why we love meeting all of our members from across the globe! 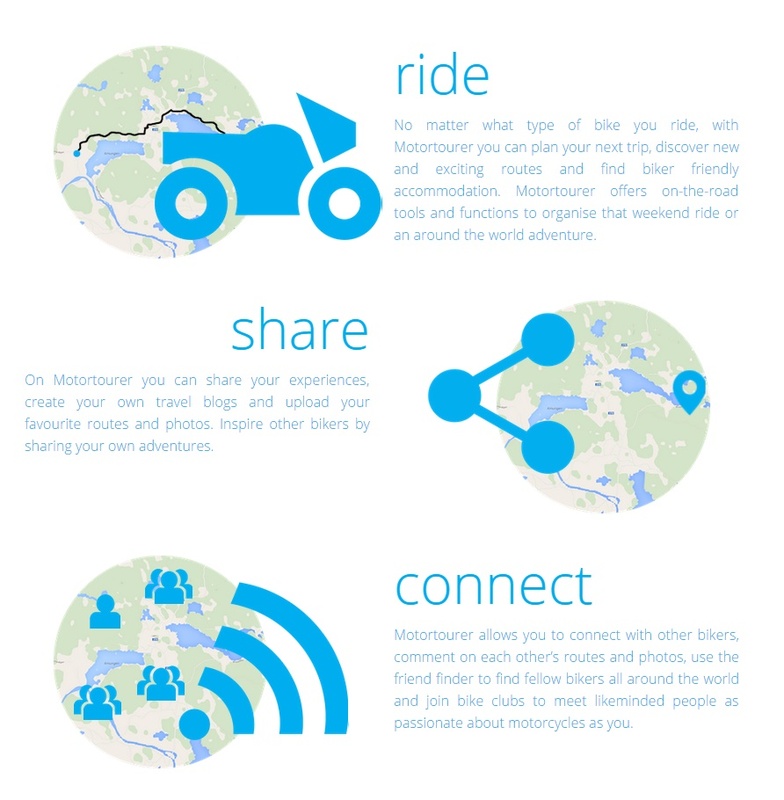 Motortourer – The simplest and most effective motorcycling tool, used by the biking community all over the world.